Clean Oriental Rug is a small family owned and operated business, specializing in the hand washing of Oriental rugs and textiles. Utilizing modern equipment, we use old world cleaning methods that have remained relatively unchanged for thousands of years. Every rug or textile is cleaned by hand for a beautiful result. Repair and restoration services from basic hand sewn securing to complex reweaving are available as are moth treatments and fabric protection for rugs and furnishings. Pick up and delivery service available. 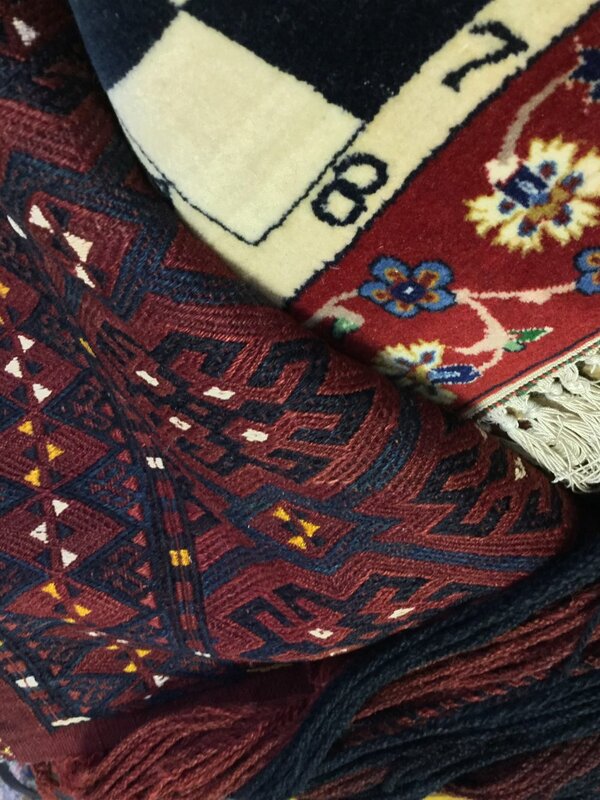 Each rug is carefully pre-inspected for any issues or special conditions which are documented prior to cleaning. We then provide you with a written estimate and request a work authorization. Once you have given us authorization your rug will be tagged with your work order, cleaned, groomed, and then invoiced at which point you will be contacted via your choice of phone, text or e-mail letting you know your rug is ready to come home. Your rug will be carefully inspected, measured and photographed as we look at it together and discuss the cleaning considerations and any specific concerns that need to be addressed such as unstable dyes, pet issues, moth damage/infestation, weak or damaged areas that may need stabilization before cleaning, and post cleaning repair recommendations. We then prepare a detailed written quote, for your authorization and then we clean! Before washing begins, all rugs and textiles are air dusted to completely remove any particulate soil. Vacuuming alone will not remove it. Air dusting is the safest pre-cleaning process for rugs, because it uses powerful but soft compressed air at low pressure to completely dislodge dirt and debris. Dusting begins on the back side of the rug to loosen sand and dirt particles impacted by foot traffic. The rug is then dusted face side up, completely removing this dry soil from the rug. Removal of dry soil is critical before wet washing begins. We wash each rug by hand, one at a time, using fiber specific cleaning agents designed for Oriental rugs, custom formulated for us right here in West Michigan. The finishing touch, grooming sets the rugs pile to lay in the proper direction. You may use cash, check, credit card or electronic payments like Apple Pay and Android Pay. Thank you for inquiry! Nathan tries to respond within 24 hrs.